This was a short book, so it didn't take me long. The story is about a fireman but in his world he doesn't put out fires - he starts them. His job is to find people who still have books in their homes and burn the books, and the homes, to the ground. He never questions it. His wife spends all day watching TV (which in the book they call their "family"). There comes a time when he starts to question everything and starts hiding books in his own home. He is caught eventually, and has to make a run for it. 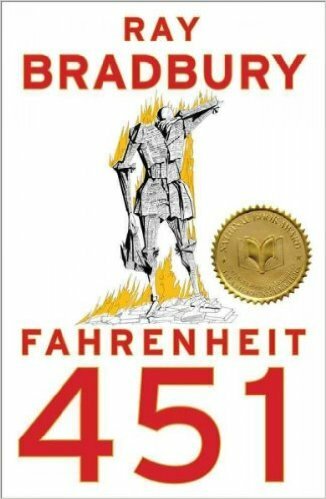 This is a dystopian future book, but written in the 50's, so to me it seems more like the present. There was a definite theme that applies to today. Many kids would prefer TV to books. Even many adults. Do I think we will get to a place where we as a nation feel we don't need books any more and will arrest people who own them? Let's hope not. But the underlying message rang true. It was an enjoyable book. It had a bit of an odd ending, but for a fast read, I found it just fine. I would recommend trying it - it is an old classic.